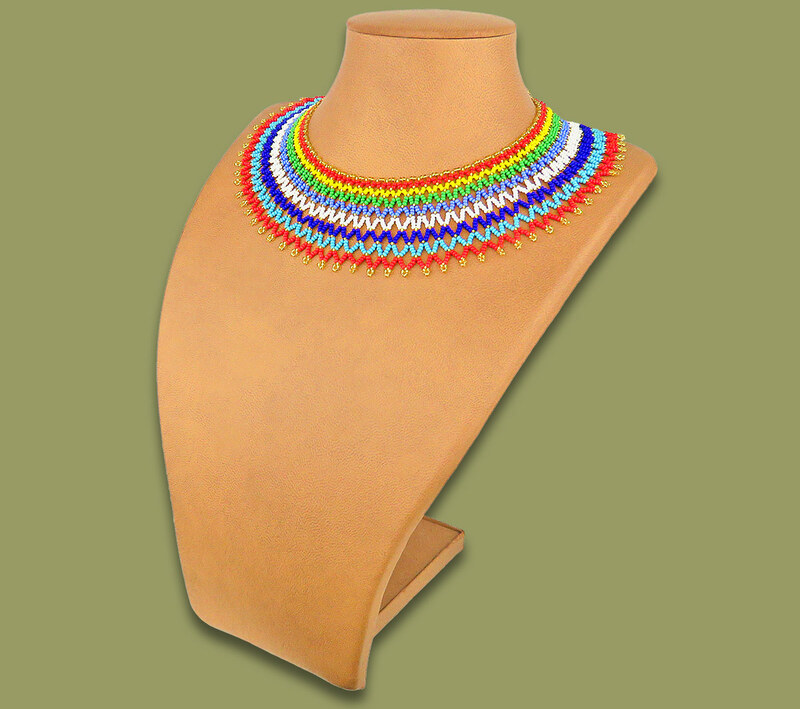 African Beaded Necklace Ntombi Design - Zulu Colours. Wide Choker (lace) design necklace with bobble and loop close. This is a handmade African beaded necklace and all sizes and weights are an average and may vary slightly.